Getting good windows for your house can be important in more ways than one. Your house will look better aesthetically with a new set of windows, the energy spending will go down, what with all the savings in heating in the summer and cooling in the winter that comes with better insulation, and perhaps most importantly, good windows equal a more secure home! So the best tip for home security is actually as simple as: “get the best windows possible”. A safe home is a good home, that’s why we created this simple guide to choosing the best and most secure windows for your home. At DK Windows we make it a top priority for all our windows and doors to be as safe as possible. All of the profiles we deliver are created using the best materials such as high-quality uPVC, Aluminium, Timber and Aluclad. Double and triple glazed windows are great for energy savings and noise reductions and are perfect for keeping the heat in the house in the winter and insulating to keep your home cool in the summer. Windows are openings to your house, and securing the windows means securing your home! This is why the windows in our offer come with a multi-point locking system. All our windows are safe, so it’s just a matter of choosing the best option for your needs. There are two options to choose from, locking handles and non-locking handles. The non-locking handle lets you close your window tightly and securely just by turning the handle in the correct position. On the other hand, the locking handle, comes with a little lock (and key) in the handle of the window, making it even more secure as you can physically lock the window. Once the key is turned, you can open the window. Aluminium windows will get you just a little bit more safety and are easy to maintain. Aluminium frames are more durable and offer great insulation. Our Reynaers aluminium windows offer a perfect harmony of design and durability, but if you’re really looking for stylish and functional, try Aluclad. Aluclad windows, combine the traditional with the modern. What you get in the final product is all the stylishness of timber window frames, combined with the strength of aluminium. The Scandinavian pine is placed on the inside of the window, and aluminium on the outside. 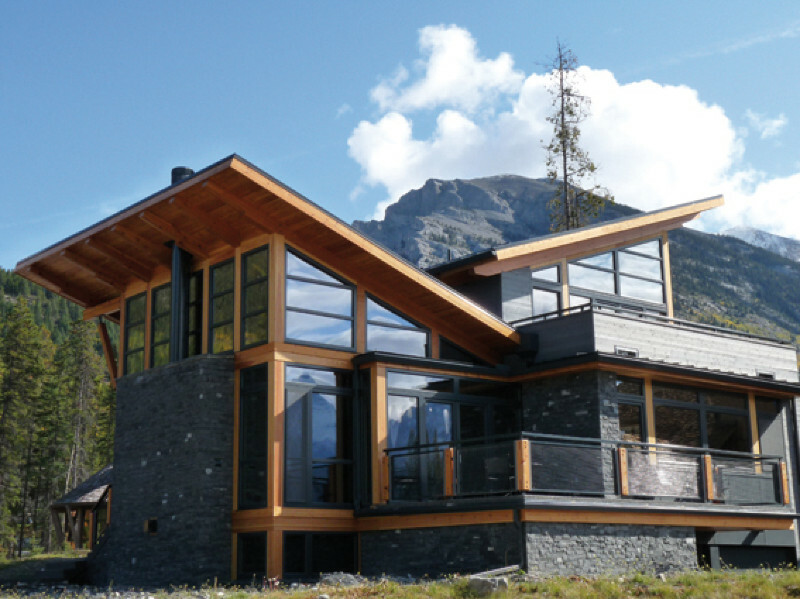 This design ensures your windows are safe, energy efficient, and best of all easy to maintain. Safety is about comfort as well, and energy savings are always a plus. This is why you should consider triple glazed windows. While single and double glazed offer a great value for money, triple glazed windows are a cost-efficient long term investment. Often used in Nordic countries because of the great insulation they provide, these windows will keep your home warm for a longer amount of time, without spending a fortune on heating. From an outdoor security point of view, triple glazed is the way to go. Having three panes of thick glass separated by vacuum makes it three times harder for an intruder to break into your home. When talking about windows and home security, you’re probably thinking of outdoor safety, but what about the inside of your house. Keeping the young explorers safe is the top priority for all of us, which is why at DK, we do our best to make our windows safe for children. With sash windows, there is an option of including a child restrictor hinge for both sashes, ensuring the safety of the windows from the inside. We offer a range of child safety products with our windows, so be sure to inquire about the best option for your home before choosing the window. Finally, security of the window material varies with the specific conditions in your location. Some materials are stronger than others, but the security of each window also depends on the location of your house. While Aluminium is a durable, lightweight material, it can suffer corrosion if exposed to salt water, so Aluminium is not the best option for beach houses. uPVC, on the other hand, is lightweight, flexible, and moldable into different shapes, which is why these windows are often the most aesthetically pleasing. 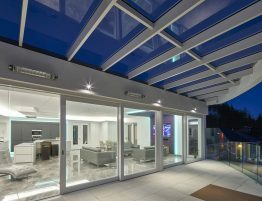 However, uPVC is essentially plastic and it can start melting in extremely hot conditions, which is why other types of windows are better for hot weather locations. Wood is strong and durable, but it requires a lot of maintenance compared to aluminium and uPVC, which practically require no maintenance at all. Choosing a perfect, secure window for your house can be a difficult process, but we aim to make it a pleasant experience as possible. Always consult with us before choosing a window so we can provide you with the best possible fit for your needs. Keep your home secure with DK windows and doors!